Lucion develops and distributes applications that enhance and streamline day-to-day business tasks. 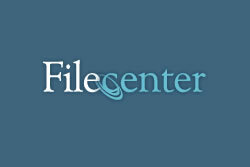 The company’s FileCenter is an easy-to-use, low-cost electronic document and file management software suite. It enables smaller, document-intensive offices to save, image, find, send, share and backup all critical documents and files. FileCenter’s integrated feature set and electronic file cabinet also allow smaller offices to enhance and streamline day-to-day business tasks at an affordable price point. For more information on FileCenter, please visit www.myfilecenter.com. You can also visit the company’s Website at www.Lucion.com.